Lior Herman is a Lecturer (Assistant Professor) at the Department of International Relations at the Hebrew University of Jerusalem. His research focuses on international political economy and the intersection of politics, economics and philosophy. Dr. Herman’s main research areas include international trade and trade in services, energy geopolitics, European Union studies (with an emphasis on the Single Market and external relations), international governance and the integration and disintegration of markets and polities. Dr. Herman has two undergraduate degrees from the Hebrew University of Jerusalem in Politics, Philosophy and Economics (PPE), and in International Relations. He has an MSc. degree and a Ph.D. from the London School of Economics, specializing in European and international political economy. Dr. Herman has published numerous articles in academic and scientific refereed journals on a wide range of topics including international trade, trade in services, EU Mediterranean relations, regional cooperation, and international money laundering. 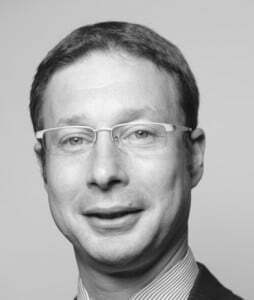 He is a member of the Executive Committee of the Israeli Association for the Study of European Integration (IASEI), a Research Fellow at the Truman Institute for the Advancement of Peace and a member of the academic board of the Munich European Forum, as well as a referee for various academic journals. Dr. Herman has been a Visiting Professor at the Munk School in the University of Toronto and a Visiting Lecturer at Renmin University of China in Beijing, the Royal Scientific Society in Amman, and Rouen Business School in Paris. He has also served as a World Trade Organization regional expert in the field of services. Prior to that, he served as a senior official at the Israeli Ministry of Finance where he held the positions of Director for international organizations and the EU, as well as Head of Department of Insurance Agents and Agencies. He has served as the Secretary of Inter-ministerial Committee for the OECD as well as a non-resident member of Israel’s delegation to the WTO.